To have a vision about a stunning vehicle is the seeding of dreams. Automotive visionary Jean Bugatti designed the 1939 Bugatti Type 64 Coupe which almost never was. 73 years after Mr. Bugatti’s vision, it has finally come to fruition. This stunning vehicle was worth the wait! The 1939 Type 64 Coupe features the coachwork that signified the Bugatti line, and adds some new enhancements while maintaining classic elegance. 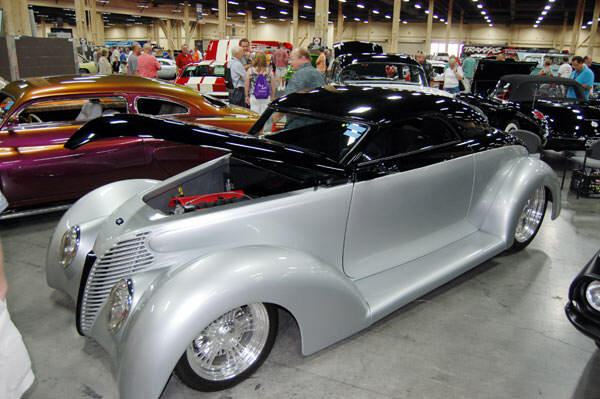 Originally there were three 1939 Type 64 Coupes slated to be built. However, only one model was fully completed until recently due to the unexpected death of designer Jean Bugatti. The other two had the framing, but no coachwork had begun. 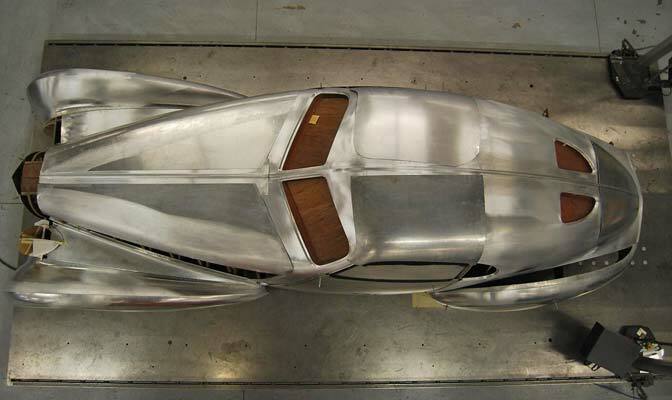 The Type 64 was envisioned to be the successor to the infamous Bugatti Type 57 of the mid to late thirties. Now, thanks to some innovative creativity by forces behind the Mullin Automotive Museum of Oxnard, California, the world will again have the opportunity to see the beauty of dynamic engineering. The new coachwork was handled by Stewart Reed Design of Pasadena. The Bugatti Type 64 is utilizing a gullwing design that has the look and feel of automotive yesteryear. 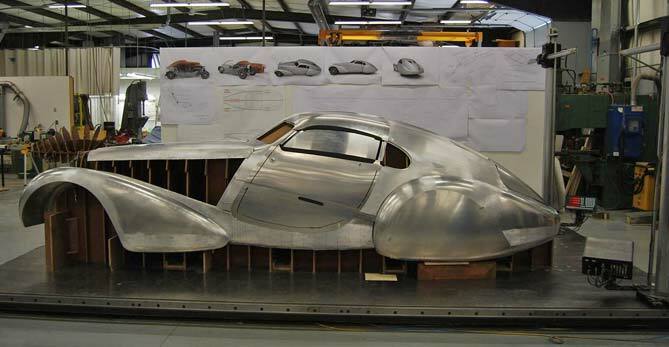 Many of the sketches of Jean Bugatti were used in the completed design. Forward thinking of an automotive genius taken in his prime may well have catapulted the automobile industry even more than we have seen thus far. From a performance standpoint, use of a straight eight engine with dual overhead cam and two valves gives this beauty a quick speed of its day with 170 horsepower. This is not a bad performance report for a car of the day. Other features of the Type 64 Coupe include semi elliptical spring front suspension with an inverted quarter spring rear suspension. Cable drum brakes help to slow this baby down when she gets rolling. The sheer elegance of design and presentation make this car one to remember. The Papillion doors and riveted body design is a classic example of automotive excellence that will never be outdated. Though completed almost a century after it was a vision in one man’s mind, the Bugatti Type 64 coupe is proving to be every bit of automotive legacy had it reached its full potential then. Automobile connoisseurs have to be pleased with the efforts being made to complete a project that began back before World War II. The design team is certainly not taking any shortcuts and are expending every effort to be sure that the Bugatti legacy is honored in all manners possible. After a brief stay at the Quail in Carmel, California – this masterpiece will be on display at the Mullin Museum in Oxnard, California beginning in the fall. Finished in December 2002. Professionally built Coast to Coast body and powder coated chassis. LS1 all aluminum Chevrolet V8 4L60 automatic overdrive transmission. Power rack & pinion steering, power 4-wheel disc brakes. Super air ride front and rear suspension. Complete state of the art electrical system and a Dakota digital dash. CD player. Remote doors and trunk release. Power windows with hidden switches. Air conditioning and all aluminum radiator. Tons of polished billet. Tilt column. Full leather interior including trunk. Aluminized stainless Flowmaster exhaust, 16″billet front wheels and 20″ billet rears with matching steering wheel. No expense spared.